To escape capture by Imperial soldiers, 16-year-old Eridale Storm leaves the only home she’s ever known and drags her younger sister into the wilds of Mericon—the Empire that formed when America collapsed. Hoping to find safety with their mother who disappeared when Eridale was three, the girls follow clues that lead them across the country, but the empire hounds their every step. The journey draws Eridale deeper into the conflict between the Empire and the rebel Freedom Fighters, producing questions about Eridale’s heritage, questions no one wants to answer. Caught between the threads of deception, rebellion, and betrayal, Eridale struggles to find out who she is. The answers she finds could lead the country back to freedom or shackle them under the imperial throne forever. 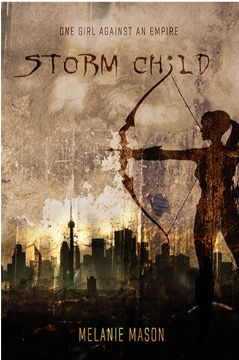 Storm Child is Book 1 of a four-book series. Melanie Mason is an author, designer, and flight attendant all rolled into one. She graduated from Utah State university with a degree in communications. She has told stories all her life and finds her passion in sharing the plots that spin through her head. She hopes to be on an airplane one day and see someone reading one of her books. Melanie lives in Portland, Oregon—with her two dachshund Chihuahua dogs—where the beauty of the Pacific Northwest feeds her imagination, and the rainy winter evenings encourage her to curl up with hot chocolate and a good book. Holly Kidman is determined to be the best movie-producer California has ever seen … until her mother’s broken leg ruins Holly’s plans and she must return home for the holidays. During her stay in her home town of Timberland, Montana, fate throws her with a man she’d rather not be around. And yet, once she can get past old grudges, she realizes the charming man and his large ranch inspire her more than she thought possible. Dare she hope for her dream-come-true? Rafe Montgomery is pleasantly surprised when Holly suddenly returns to town. Still haunted by the one, less than eloquent, kiss they’d shared years ago, he’s disappointed by the haughty attitude she’s come back with. 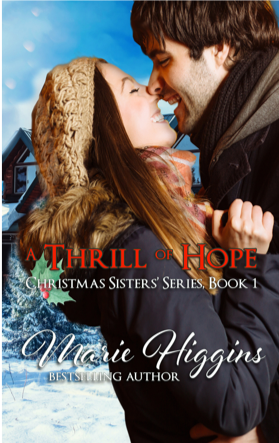 His hope is to change the stubborn and unforgiving woman he’s slowly having feelings for and to show her what Christmas is all about. Marie Higgins is an award-winning, best-selling author of clean romance novels that melt your heart and have you falling in love over and over again. 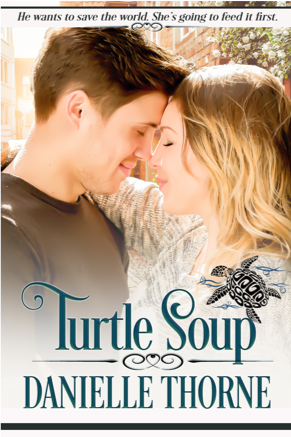 Since 2010, she’s published over 50 heartwarming, on-the-edge-of-your-seat romances. She’s broadened her readership by writing mystery/suspense, humor, time-travel, paranormal, along with her love for historical romances. Her readers have dubbed her “Queen of Tease” because of all her twists and turns and unexpected endings. But when an adverse encounter with the Eternity Gate lands her in an alien realm, magic marks the boundary between life and certain death. Anjeni alone holds the keys to saving an ancient people from a savage enemy. Her bitterness notwithstanding, she must now create a legend instead of living in its shadow. Kate Stradling is a structure junkie who adores the English language. 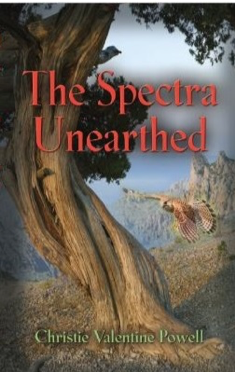 Her novels flit through the fantasy spectrum, from dystopia lite to fairy tales to time-travel adventures. She blogs about literary tropes and word-smithing at katestradling.com and makes her home in sunny Mesa, Arizona. And readers, she’s pretty flippin’ amazing, if I do say so myself. You never know the strength of your faith, until it is tested. and left her near suicide, until, she learned the reason God fell silent and the expectations He held for her. Sentenced to nearly four years in a Federal Prison for a crime she did not commit destroyed every belief she held true. Her young children left in dire conditions, her life in ruins, and her Heavenly Father nowhere to be found. 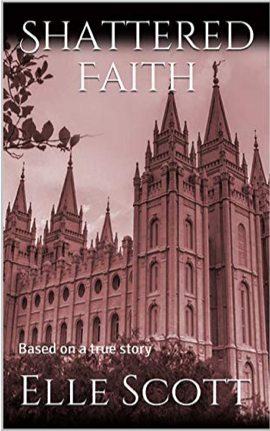 This is a true story of courage, inspiration, redemption and restored faith. Keita thought that being a princess was nothing but trouble even before the power-hungry Stygians took over the Spectra kingdoms. Now she’s on the run, hunted at every turn, and able to trust only a few other royal exiles. Of course she’d like to make her life safe again, but among the enemy’s ranks is the Nome king, Jasper Smelt. 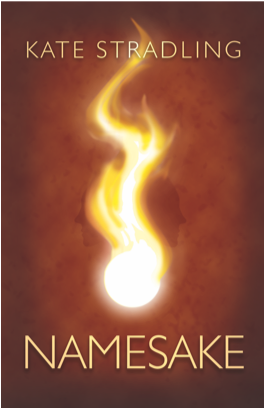 A former friend, Jasper insists he wants to keep her safe, but his pitch-black dungeon and fiery threats suggest otherwise. Trapped inside his desert kingdom, Keita sees the results of Stygian cruelty. She wants to help, but how can she face Jasper, someone with abilities she couldn’t begin to fight, someone who fears everything…except her? Christie Valentine Powell wrote her first story in second grade, and she has been writing ever since. She published her first book in 2015. Her other hobbies include making toys, hobby farming, and eating at Asian buffets. She lives near the sunniest city in the world with her husband, four children, and many chickens. We complete the barrier object series with our final entry: hedges and qualifiers. These rhetorical tidbits come in many forms. The terms “hedge” and “qualifier” are interchangeable. They denote words or phrases that damper the strength of a statement. Grammatical hedges are literally named after a type of barrier. When we hedge, we use defensive language, something to retreat behind should anyone question our words. This is the rhetoric of the lawyer, the politician, the blogger, pretty much anyone in the service industry… and, well, everyone. Everyone hedges to some degree or another. When you hedge too much, though, you look like a weasel. “He seemed angry” literally means there’s a possibility he wasn’t, but when you hear this spoken aloud, you assume the person in question was angry and the speaker is too polite to say it directly. Similarly, “I tend to sleep in on weekends” comes from the mouth of someone who definitely sleeps in every weekend they possibly can but doesn’t want to sound like a lazy schmoe. Politeness plays a huge role in hedging, as does conversational manipulation. She might meet us at the restaurant. She must meet us at the restaurant. And this simple shift makes a world of difference in responsibility to follow through. As discussed in the article on Expanded Verb Structures, simpler structures are better. If you can eliminate a hedging modal for its concrete counterpart and still maintain the integrity of your narrative, good. But if you can eliminate the modal all together, better. This type of hedge is a “fine tuner.” It emerges when a speaker wants to be meticulous about their language, again, to cover their backside from questions that a more direct discourse might elicit. But here’s the thing: in most cases, these “specifications” add nothing more than word count. Someone who is “a little tired” is tired. If you’re “kind of annoyed,” you’re annoyed. When the hero makes a “slight grimace,” he grimaces. We don’t have to shy away from direct speech, particularly in expositional narrative. As for the “untruth” category, its opposite falls under the linguistic pattern of bolstering, which is yet another tell for deception. We’ve all encountered a boor who interrupts a conversation with, “Well, actually…” and then proceeds to give their opinion rather than fact. It’s a long-standing joke that anytime someone begins a statement with, “Honestly,” or its equivalent, they’re about to lie. 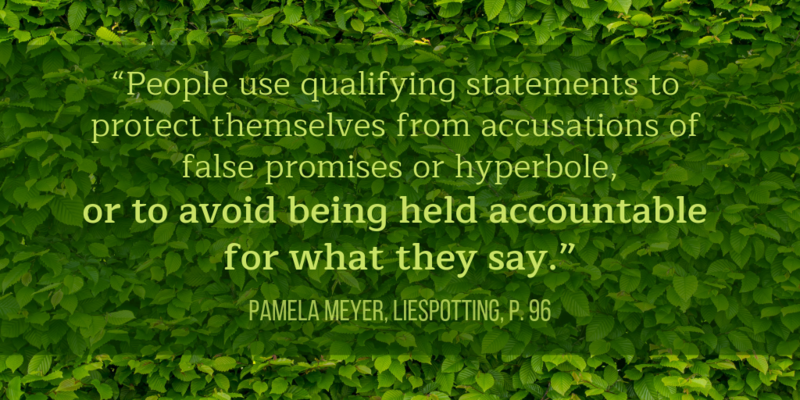 This includes longer phrases like “in truth,” “in fact,” “in all candor,” “in all honesty,” and so forth. The instant we try to convince others of how genuine we are, we plant a seed of doubt. If you’re shoring up your work with bolsters, they will have much the same effect as hedges. Each of these leaves more than enough room for a speaker to weasel out of their words. Unless you absolutely need them in your narrative, they are prime for culling. Hedges and qualifiers are 100% okay in spoken dialogue, as long as they suit the character. So too are they appropriate for narrative, but only if they add the nuance intended. In many cases, there are better alternatives to a hedge. If, for example, your hero favors your heroine with a “slight smile” and the slightness of it plays into the scene, it’s appropriate. But a dozen other descriptors could convey the same effect or a better one. He favored her with a feeble smile. His smile was like a cup of weak tea. All of these examples build on that more generic hedge of “slight.” But “slight” has its own charm, too, as long as it’s not modifying everything under the sun. Barrier objects create defensive writing, and defensive writing weakens your story. Our next section discusses a tool we can use to strengthen it instead. 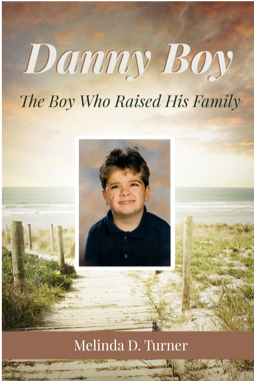 At times hilarious, at times heart-wrenching; full of wit and wisdom, “Danny Boy” is a must-read for anyone struggling to care for a special needs child. This true story explores the lessons we can learn from people with disabilities and the reasons why a loving God allows some to struggle and suffer, while others enjoy healthy bodies. Told from the perspective of the oldest sister in a family with a severely disabled child, this collection of real-life, behind-the-scenes experiences highlights the difficulties, disasters, and poignant moments that inevitably happen when caring for those with special needs. See the effect these experiences have had on each member of the family over the course of nearly 35 years of round-the-clock care for brother and son. “I was not quite eight years old when Danny was born. Even at that young age I can remember the exact moment I knew my life, my family’s lives, everything we had known up to that point had changed forever. Scheduling mishaps happen, my people. Mark your calendars to grab this one tomorrow, along with the Day 7 title. But one night I changed the outcome of one of my dreams by accident and shifted my reality in a major way, so now I have to make some important decisions about choices and control. And what I believe is right. Joanna Reeder creates scintillating but clean YA novels while chasing 3 littles and a hubby. “A Dr. Pepper a day keeps insanity away!” Joanna grew up and lives in Northern Utah. She graduated with a Bachelor’s degree in English from the University of Utah. 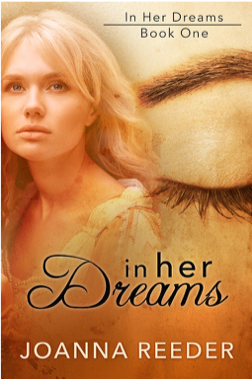 In Her Dreams is the first in the In Her Dreams trilogy. Trapped In Her Dreams (Book 2) and Purpose In Her Dreams (Book 3) are FREE on Amazon through Kindle Unlimited. Joanna is currently working with three other authors on a collaboration universe about a school for shifters. The first in the universe, Shifted, (Book 1 in the Siren Prophesy) released January 8, 2019. When a reclusive teen with the enhanced ability to read others’ emotions finds more teens with similar sensory powers, he must confront his fears before a budding romance and his twin brother’s life fall into the hands of the devious doctor who created them all. Beau could change if he wanted. But he won’t do it. Now his extroverted brother expects him to embrace his abnormality, too? His twin brother calls it his “ability”–Beau’s gift for experiencing someone else’s emotions with just a touch. But when he’s surrounded by an onslaught of overactive teenage emotion and a brother who eagerly touches everyone to read their thoughts, his ability seems like a curse. The safest way out is to put up a wall and hide behind it. What is it about a girl and danger that makes a seventeen-year-old guy leap forward when he ought to step back? Of course, Beau will be the first to admit the girl is totally worth the trauma. And it’s kinda amazing finding five more sensory enhanced teenagers, just like him, though they seriously invade his personal space. Then just when he thought life had finally cut him a break, they end up as lab rats to the psycho doctor who killed their mothers and made them orphans. What Beau didn’t see coming was having the most painful threat come from one of their own. What’s a guy have to do to survive it all? 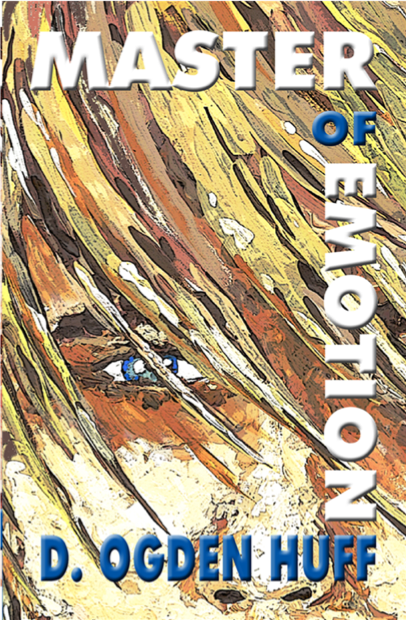 MASTER OF EMOTION is Book 1 of the completed TOO SENSITIVE four-book series, available on Amazon. 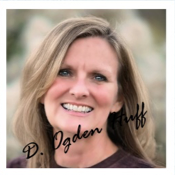 D. Ogden Huff is a sun addict who moved to Arizona at the age of two. She’s lived there ever since, except for a two year stint in Utah where she discovered that she gets cold just looking at pictures of snow. Thankfully, she lives in sunny Phoenix with the man of her dreams and a house full of kids and grandkids. They are the funniest people she knows, and choking at the dinner table is a daily hazard of their contagious laughter. Find out more at www.dogdenhuff.com.